Cooking With Siri | Recipes, Reviews and Reflections. : Weekend Trip To Chennai | What Did We Do? We went on an impromptu trip to Chennai last weekend. It was a business outing for TH and I tagged along to roam on its streets, visit few places and eat at a restaurant I wanted to for a really long time. 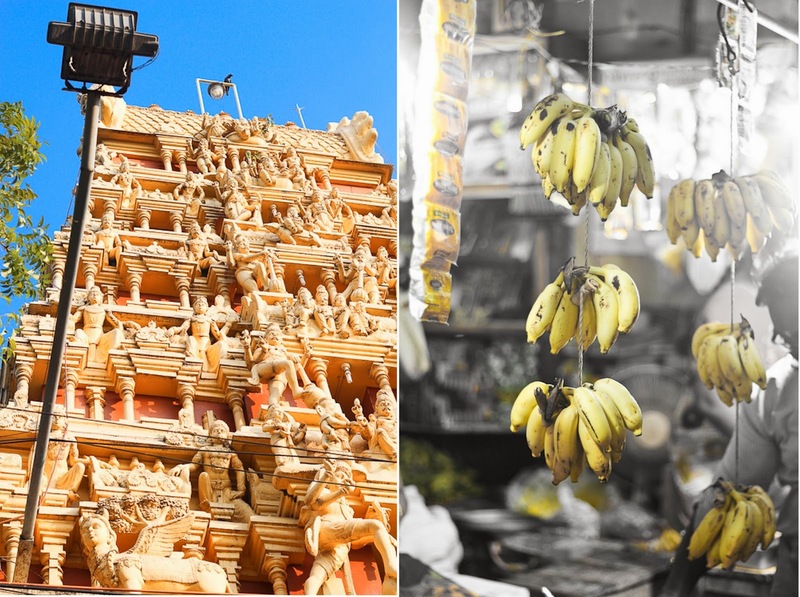 This post and the next will be about our Chennai travel - what we did and where we ate during our short stay in the city known for its wide roads, the BEST sambar, charming people and vibrant yet eclectic culture. At Kapeeleshwar Temple (Mylapore), people lighting diyas to drive away their sorrows and wishing for joy and good times. We reached the city with hunger and tiredness all over our washed out faces due to an arduous and not-so-pleasant journey. After eating to our heart's content and a refreshing bath, we set out on exploring places nearby our hotel. What better way to start our sojourn than visiting one of the oldest shrines, Kapaleeshwarar Temple (Mylapore) built in way back 7th century CE. 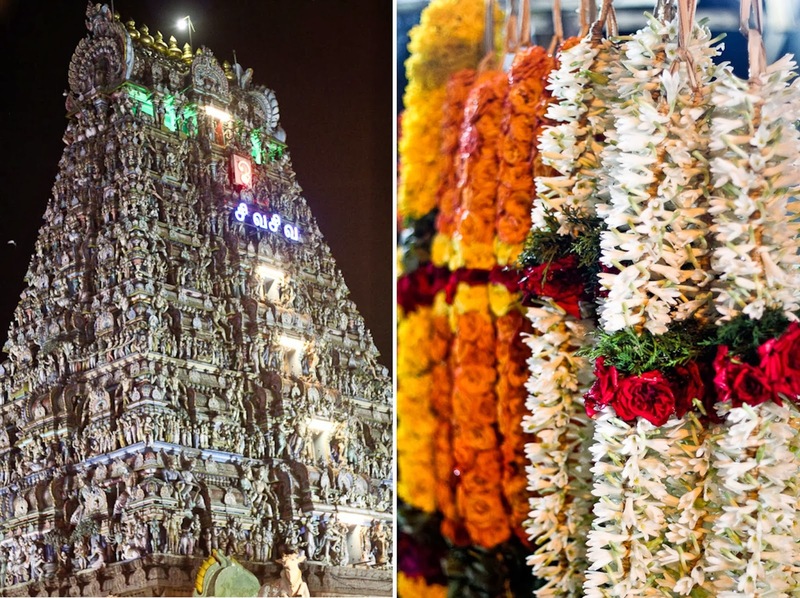 The glimpses of Dravidian architecture all around the temple were truly breathtaking and it is an experience not to miss in you are in Chennai. 5th Annual Dance Festival was being held in the temple premises while we were there and it was truly a delight to watch small kids dance to the tales of Lord Krishna. Spellbound we watched their performances for several minutes. If only we could stay there longer to see the entire show. Classical Dance Festival at temple premises.. It was already 10 in the night by the time we tumbled into our hotel room. There was not much talking as we were tired to the bone and dozed off almost immediately. The next day started on a promising note and once done with all our work plus a sumptuous lunch, we headed out to Varasidhi Vinayaka Temple near Besant Nagar bus stop. Couple of my chennai friends recommended to pay a visit to this temple (built over 40 years ago) to get our deepest desires fulfilled. Duly we did so, also because it is just a few minutes walking distance to Elliot's beach. When in Chennai, a visit to a beach is customary!. Isn't it? 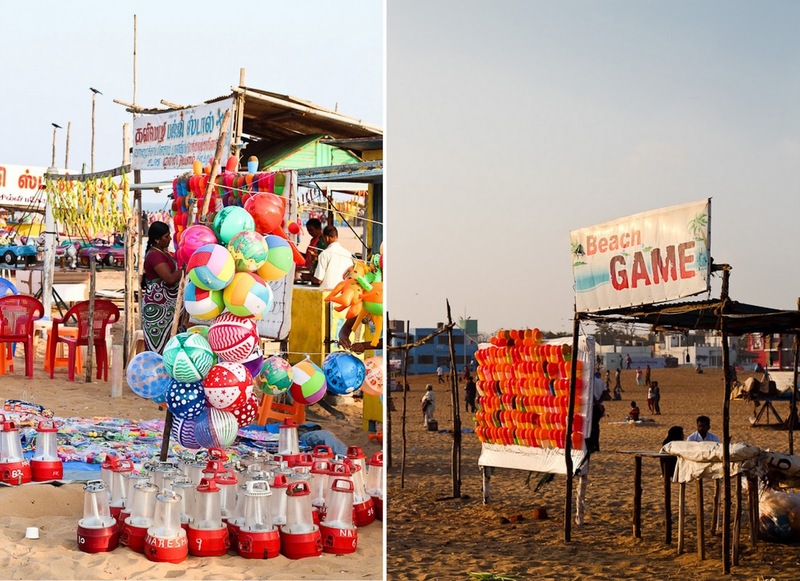 I visited quite a few beaches before from Visakapatnam to Half Moon Bay, but nothing compared to the kind of activity I saw on the beach at Besant Nagar. It was 5 pm on a Sunday evening by the time we reached there and vendors were setting up their stalls before the evening's rush. Sadly, it is not a well maintained beach but was told that this is a tad bit better than its popular counterpart at Marina. Below are few photographs I clicked while we were at Elliot's beach. 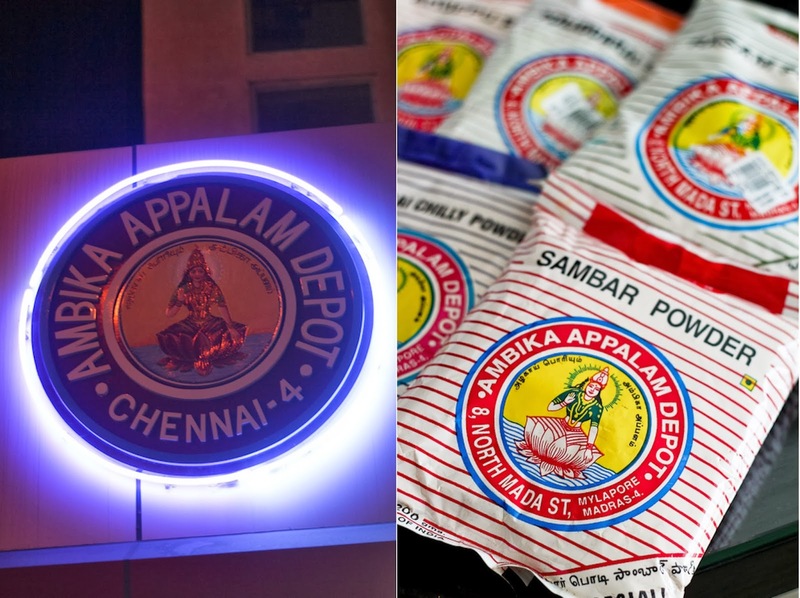 Have you been to Chennai or Are you from the city? Any favorite places/hang outs you miss or wish to go? Do let us know in the comments section.